We offer places for babies from 3 months of age. We appreciate the importance of individual routines at this age and work closely with parents to ensure a personal approach for each child. We have a separate sleep room and nappy change facilities. At this age, play and learning is very exploratory and discovery based with all five senses involved. Treasure baskets - encouraging children/s natural curiosity investigating "real life" items. Messy play - paint, gloop, water, play dough. Exploring the outside world - watching trees sway in the wind, listening to birds singing. Physical play - tummy time, developing balance and control. Cuddles and quality one-to-one time with a key person. Our Toddler room caters to children from 18 months of age depending on their development. Our toddler room has been carefully designed promote curiosity, wonder and excitement. It is a warm, cosy and homely place where each child is valued. Active learning and the desire to be involved in new experiences is what we foster and encourage amongst our toddler children. We provide children with open ended learning experiences and enhance activities to follow their interests. Children usually move up to the preschool room before their third birthday. Our day is flexible yet brings elements of structure and challenge. Practitioners plan activities using current interests taken from observations and conversations with the children - therefore our children gain new knowledge through the planned experiences linked to events, seasons and celebrations. We recently enjoyed a visit from Joanna, a paramedic who came and introduced the children to the important role she plays in helping people. Children learn so much from outdoor play. At Fledglings Day Nursery children have access to outdoor play daily as this is highly emphasised in the EYFS. Children have the opportunity to go outside no matter the weather. As children run around outside they are learning about the effect physical exercise has on their bodies Being outdoors helps so many areas of children’s learning and development, they learn to build confidence in themselves, they learn about problem-solving and socialising with other children. When outdoors children learn about risk taking, practitioners feel that children learn vital skills when risk taking. Our back garden is specially designed for our younger children aged 0-3. 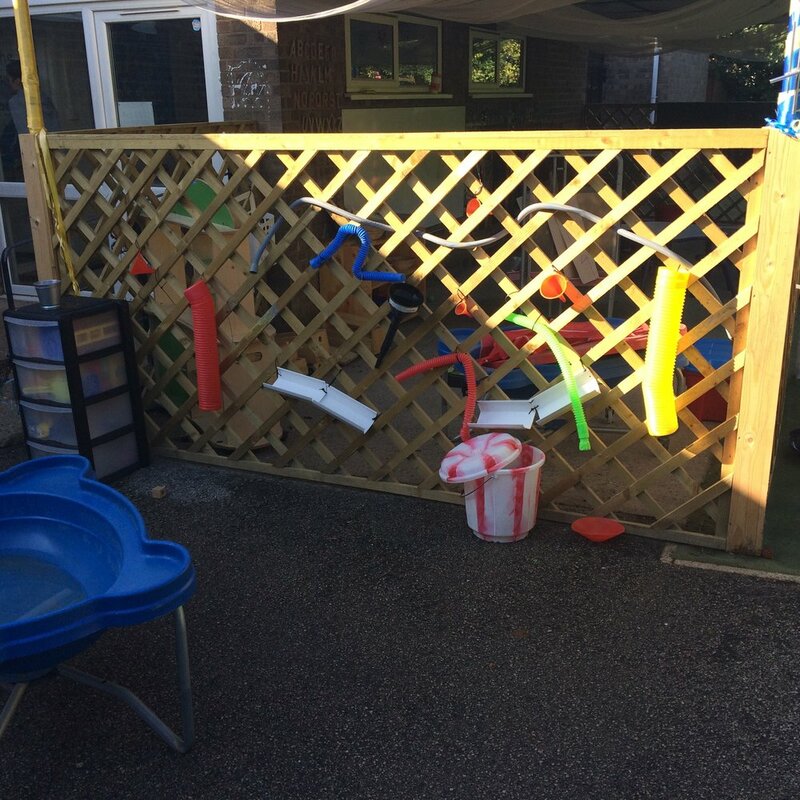 Our 3-5 year olds have their own outdoor area with more challenging resources and materials. In both our outdoor areas we have made use of natural and recycled materials. These open ended resources encourage children to use their imaginations and problem solve.